We provide you with a free consultation (in certain states) to patients that receive a positive STD test result. Our team is available to youto answer questions and explain your results. All of our doctors are licensed and board certified in your State, providing you with trustworthy and high quality professional care throughout your private testing process with us. All of our doctors are licensed and board certified so you can get peace of mind knowing that you are receiving high quality, professional care. 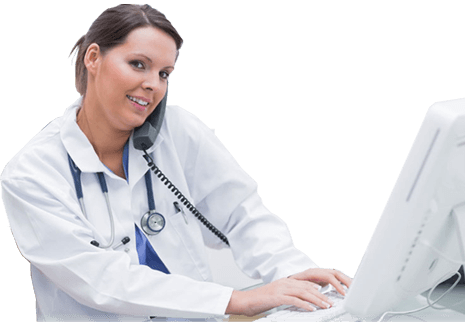 We abide by all HIPAA regulations and will ensure that your medical records stay private. You have enough to worry about - there's no need to worry about your privacy. In case of positive result our physician will recommend a course of treatment following your screening and, in certain circumstances, may be able to provide you with a prescription. In the case of a result that may require more intensive treatment, our doctors will refer to a specialist in your area. We offer free medical consultations with a doctor or a clinical team member to patients that receive a positive STD test result. You deserve professional, quality care, so we ensure that you receive it. Our team is available to you to assist with making a treatment plan and moving forward. The STD Labs ensures that you will receive a high standard of care from our team every time. Our physicians are trained, professional, and available to help you. Our doctors are here for you. We know that undergoing testing can be embarrassing, uncomfortable, and stressful. Let us give you peace of mind with our high quality, professional team. With licensed and board certified physicians available for you through the STD Labs, you can rest assured that you're in good hands. Contact us anytime day or night and we will be here. Our customer assistance is available 24 hours a day, 7 days a week online for you. You can call us seven days a week from 6:00am-10:00pm. We make it convenient to find the best time for your busy schedule. Contacting us is simple. Simply send us an e-mail or call us at 1-888-510-3132 . We'll be here to assist you whenever you need us.